Cheesecake lovers will know what it is to indulge in this sweet dessert that consists of one or more layers. In fact, the real fight is in the primary and thickest segments that include the mixture of soft, fresh cream cheese (some use ricotta too) eggs, vanilla essence and sugar. It is the total yummy dish that can bring back any bad mood into a good one. For sweet tooth indulgers, keeping a cheesecake at home can often suffice the want of fresh. But you ought to be careful about the freshness of the cheesecake. It is essential to pay a special attention to the outlet you purchase from and learn to distinguish from the good ones to bad. We are sure nobody wants to fall prey to food poisoning and health issues. Does Cheesecake Go bad? How Long Does Cheesecake last? How Long Does Cheesecake Last In The Fridge? How To Tell If The Cheesecake Has Gone Bad? How to Preserve Cheesecake Properly? Cheesecakes are century old recipes. The earliest methods hail back from 17000s. It was in the late 1800s that this dessert became favourite in Philadelphia. The recipe didn't have cream cheese in it but thick milk. According to Dan Myers, when a Chester, NY dairyman called William Lawrence became the owner of the Neufchatel factory, and the ingredient cream cheese was added to the recipe. The recipe is of an excellent cheesecake consist of bottom layer that consists of a crust from crushed cookies, pastry or a sponge cake. There are two versions of the cake, baked or unbaked (refrigerated). 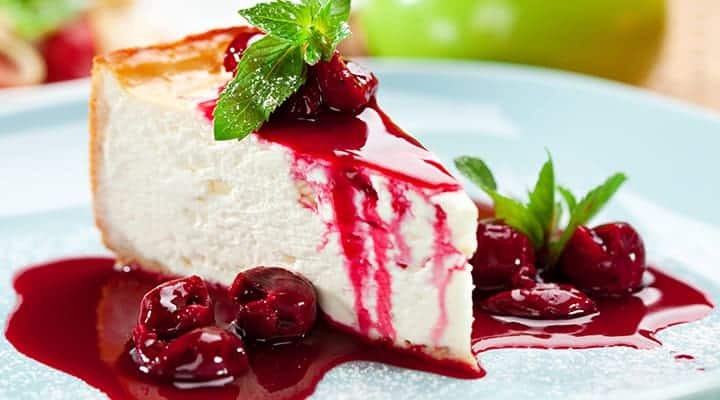 Thus, by layering the cheesecake with cream cheese and sweetened with fruits or whipped cream, chocolate syrup etc. the cheesecake is made ready. The flavours available are lip-smacking ranging from strawberry to pumpkin, key lime to chocolate, chestnut, toffee, lemon and so on. You can merrily eat cheesecakes at any point of the day. Be it for your brunch or evening snack time, after the dinner or on a special occasion. 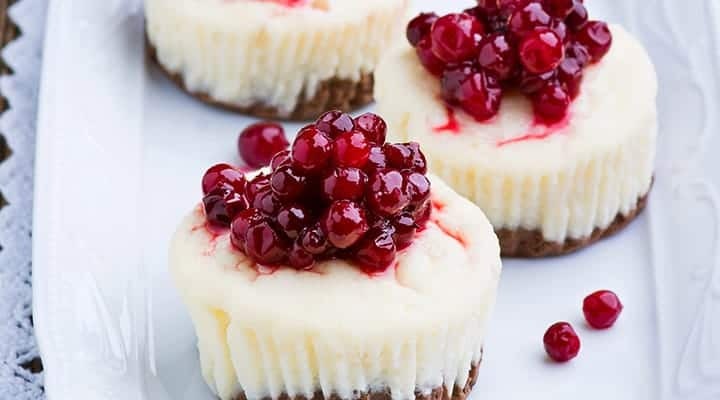 Cheesecakes are one of the exotic dishes that are easy to make, presented well and tastes deliciously good. Cheesecakes can go wrong if not stored properly or kept in at a specific temperature. The primary reasons for cheesecakes going wrong are the egg contained in it. Due to egg, the life reduces from seven to four days. The cheesecake is good to last if kept in its original container. It is best to store from 35 to 45 degree Fahrenheit. The shelf life of this delectable depends upon the preservatives used, the travel time, the humidity it has been exposed for etc. Sadly the shelf life of cheesecake is short. It becomes vital to pay particular attention to its freshness and its storing. The US Department of Agriculture's Food Marketing Institute is of the opinion that retail cheesecakes can have a maximum fridge life of seven days. However, this will also include the packaging style, specifications about the timeline. We recommend that it be tightly wrapped in a plastic container. In fact, the same can be stored in the freezer unless you intended to have the same evening. In case you are looking forward to eating it the following night, remove it a couple of hours early to dig into the desert. In fact, if you think you won't be able to finish the entire thing at one go, it is advisable to cut the cheesecakes into portions and freeze it for the later. A typical Cheesecake that has been opened would last for as good as seven days if stored properly. 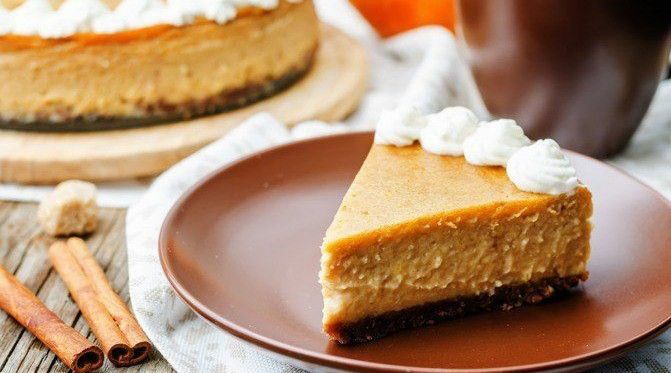 However, unopened cheesecakes that are freshly made or frozen, or home-made will remain good in the refrigerator for 6 to 8 days from its last printed date. The same can be frozen too and stay fresh for 6 to 8 months. Many factors are to be considered for storing in the refrigerators. For instance, how long was the cheesecake out, how long did it take to travel from the outlet to your home. Did it get too warm to reach your home from the store or was it out for too long? Little do we know, but even unsettling speed can also spoil the cheesecake. 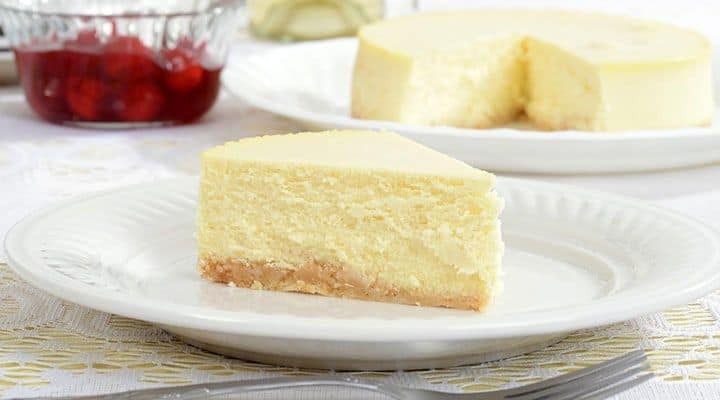 Fred Decker is of the opinion that cheesecakes kept at the room temperature for more than two hours invite off smell, brownish colour and unpleasant flavour. To avoid such bacterial growth, it is advisable to remove the cheesecake from the refrigerator when it is to be served. It remains firm, the flavour remains robust and tastes extremely good. In case the cheesecake was frozen, it is a great idea to keep it out at least 4 hours before to be served. This way the cheesecake will attain its average room temperature, it will not taste frozen at the same time but will remain fresh. It is a must to understand if the cheesecake has gone wrong. To avoid any foodborne illness, practising of proper hygiene and food safety technique is essential. Although the ideal way to avoid cheesecake from being spoilt is to eat it up instead of storing. The best way to tell if your favourite cheesecake has gone wrong is to check the colour. If it starts getting brown near the edges, you have to let the cheesecake go. Especially the crust part of it starts getting soggy. 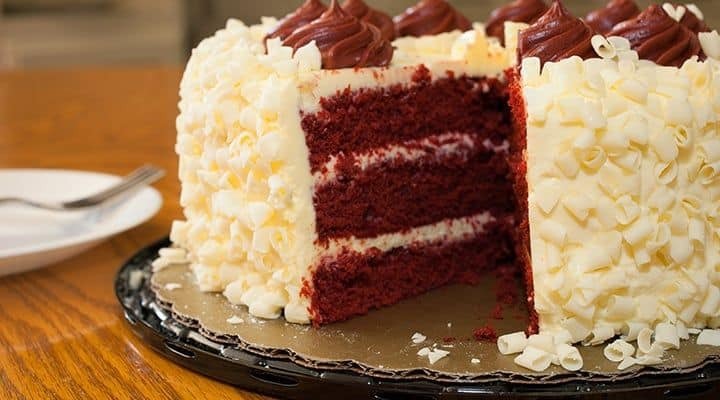 It starts getting wet, and liquid starts leaking from the cake. This is the most dangerous phenomena, as this leads to food poisoning. Check the edges - if they are have started to dry up, it is an alarm. Check if the cheesecakes have preservatives or are home-made. Most of the retail cheesecakes have preservatives in them. This allows the delectable to be sublime for the right number of days. On the other hand, when we make homemade cheesecakes, very rarely do we add any preservatives to keep the nutrient quotient strong. In such a case, finishing the cheesecake or distributing it to the neighbours is a good idea instead of storing. Smell the cake - if it starts smelling sour, rotten and not the flavour that you expect, it has gone wrong for sure. Iit is only significant to know what type of cheese is going in there to make that delicious sweet. The storing of the cake depends a lot on it too. The best way to store cheesecake is to cut the pieces separately and store them individually. The numbers of times you remove the entire platter of cheesecakes and cut into pieces, more are the chances of the cheesecakes getting spoilt. Thus, when the dessert eating is done and it time to store, cut into portions that can be eaten in one go. If you intended to eat the following day, it is good to keep it in the refrigerator. Otherwise, if you are not a sweet lover and think it's only on the weekend that you indulge in binges, like Storing Eli's Cheesecake says to store it in the freezer. But again in separate airtight containers with plastic wrap. Do not try to freeze no-bake cheesecake. They do not freeze well. Unless specified in the recipe, baked cheesecakes can be frozen. It is advised not to add garnish or topping before freezing. Check the temperature that you have been storing your cheesecake too. An increase in 10.8 degrees in temperature can often ruin the shelf life of the confection. Therefore store the cheesecake at a constant temperature. It is also best not to freeze. While storing in containers, make sure they are stored in plastic or glass airtight container to avoid any reactions with the metal containers. Hermetic seals are best hence. While shopping for cheesecakes, it should be the last item on the shopping list that should be purchased last. It will remain in its cold temperature for a longer duration. So that by the time you reach home and place it in the refrigerator it stays fresh and smells flavorful for a long time. People love cheesecake for it is a dessert that completes the taste buds needs. It is only a matter of concern for one's health and your beloved ones to be careful before serving or eating your piece of cheesecake. To be honest, you should eat cheesecake like the way you drink wine. Look at it, smell it and then take a small bite of it. Always buy cheesecakes from renowned factory outlets that make fresh cheesecakes. A lousy cheesecake will not only upset your stomach but will keep wrong memories for all the wrong reasons.